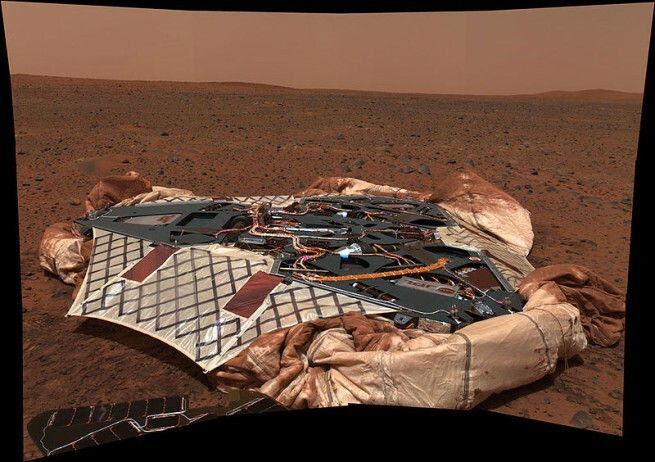 On this date in space flight history, one of NASA’s robotic pathfinders, the Mars Exploration Rover, Spirit, touched down on the surface of the Red Planet at Gusev Crater. The actual landing took place at 23:35 EST (04:35 GMT Jan. 4) on Jan. 3, 2004. It touched down some three weeks prior to its sister, Opportunity; it was the start of a mission that would last some six years and redefine the word ‘perseverance’. Almost from the outset, the roughly 408 lbs (185 kg) robotic explorer encountered difficulties. The most notable being a problem with its FLASH memory, which prevented the rover from communicating with scientists back on Earth for several days. However, on Feb. 6, the team of engineers who were now operating on Martian “Sols”, rather than on Earth days, announced that the rover was back conducting science from its dusty location. The rover’s location at the time, Gusev Crater, measures approximately 90 miles in width and is believed to have formed some 3–4 billion years ago. It was considered to be a great spot from which to determine if Mars had ever been a wet world, one capable of supporting life. In this too, Spirit encountered challenges, not finding the evidence sought until far later in its mission. Despite this, and the fact that Spirit was only supposed to work for a mere 90 days, the rover performed admirably, traversing almost five miles (some 7.73 km). It also lasted far longer than what had been originally anticipated. This was thanks, in part, to so-called “cleaning events” provided courtesy of Martian dust devils and the planet’s wind. 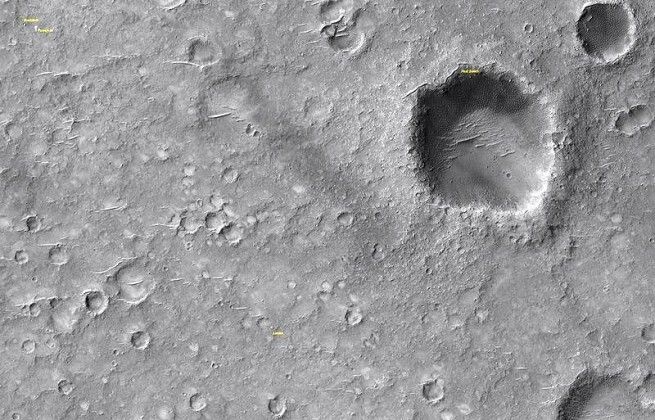 In May of 2009, the rover’s bad luck resurfaced, or fell below the surface, as the case was. The rover became stuck in the Martian soil and, despite the best efforts of flight controllers back on the ground, the stalwart explorer could not be freed. On Mar. 22, 2010, NASA announced that it had lost contact with the rover, which was followed about two months later with JPL concluding efforts to contact the six-wheeled robot. “Our job was to wear these rovers out exploring, to leave no unutilized capability on the surface of Mars, and for Spirit, we have done that,” said Mars Exploration Rover Project Manager John Callas with NASA’s Jet Propulsion Laboratory via a NASA-issued release. Spirit was launched from Cape Canaveral Air Force Station’s Space Launch Complex 17A on June 10, 2003, atop a Delta II rocket. It traversed the void between Earth and Mars and touched down at what would come to be called Columbia Memorial Station after the crew of STS-107, which was lost on re-entry on Feb. 1, 2003. Spirit’s sister rover, Opportunity, continues to explore the surface of the Red Planet to this day and the duo’s bigger cousin, Curiosity, has been exploring the base of Mount Sharp (located in the center of Gale Crater on Mars) since its arrival in August of 2012.